Large paper rose, beautifully hand crafted and coloured. 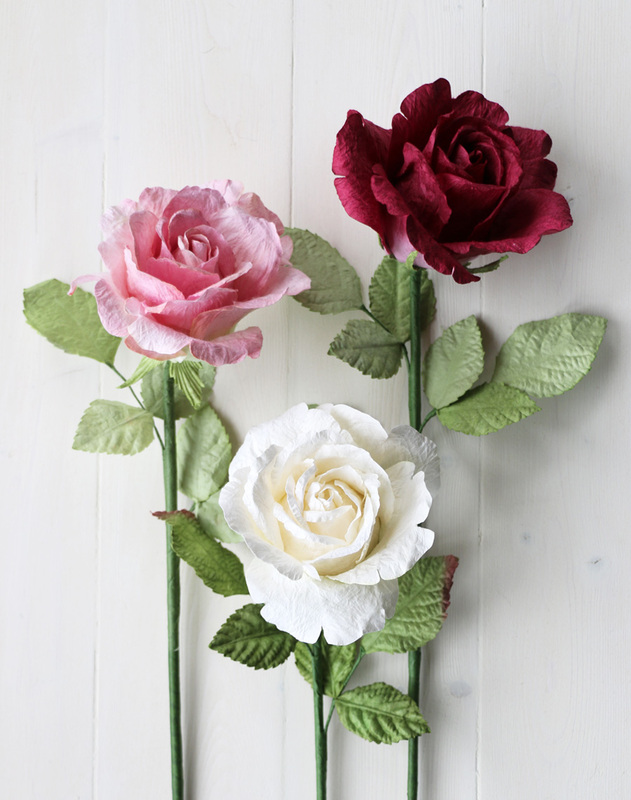 Available in ivory white, red, pale pink or dark pink. 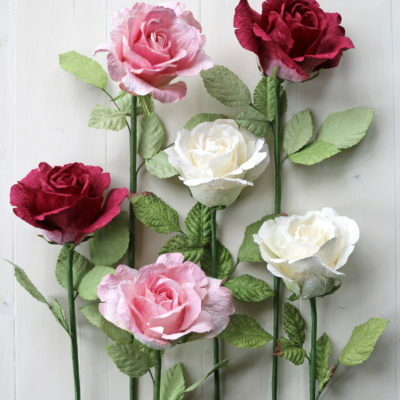 Stem length 60cm, flower diameter approx 12cm. 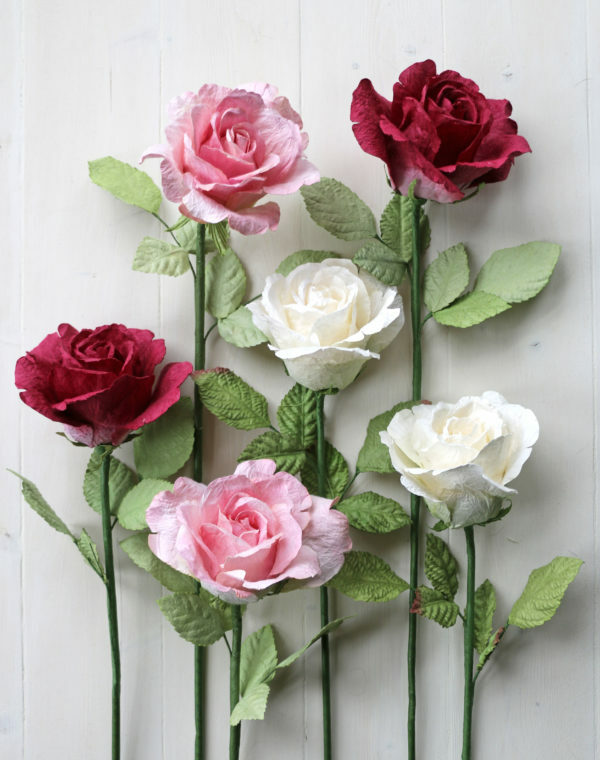 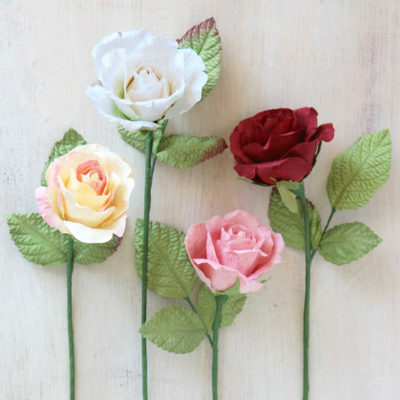 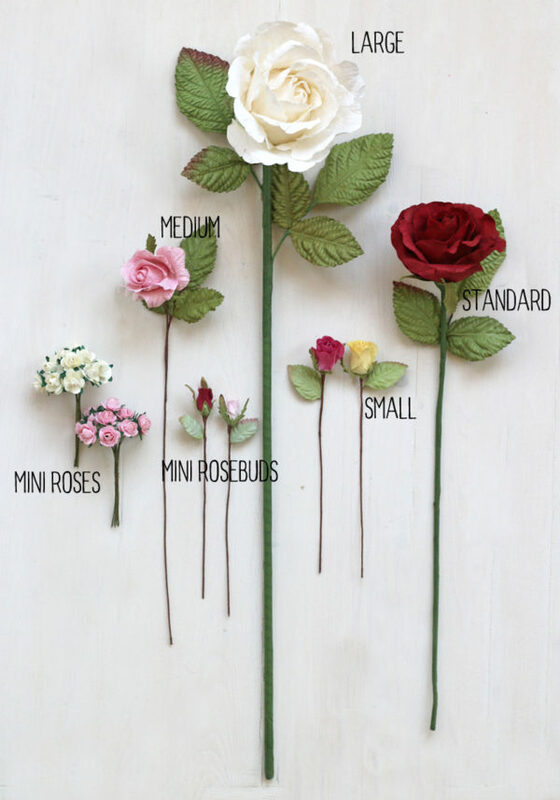 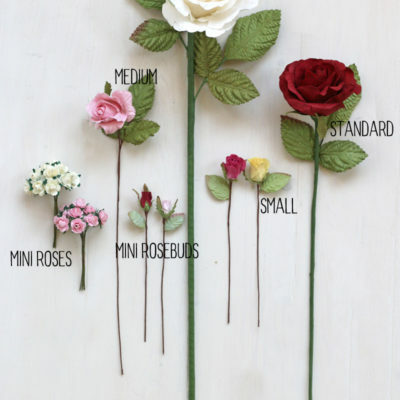 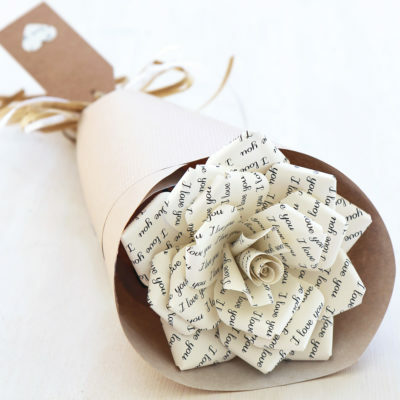 Stunning displayed as a single rose or arranged with other large paper flowers. 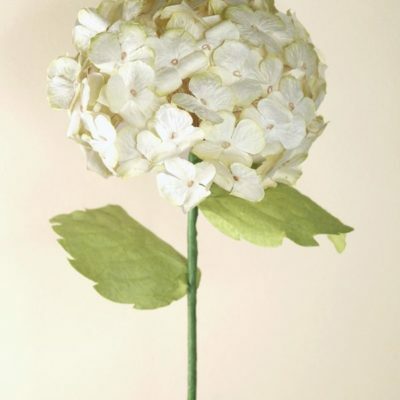 Stem length approx 55cm, flower diameter approx 12cm. 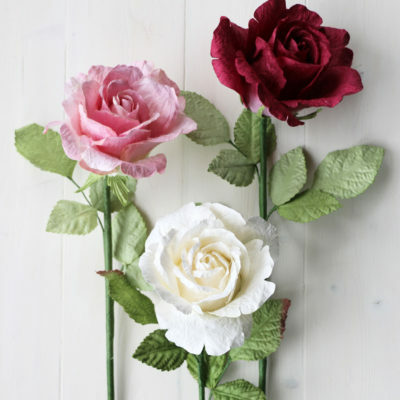 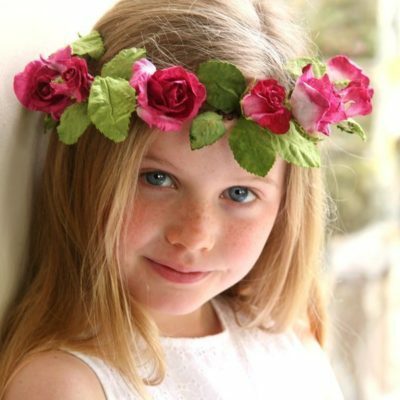 The roses are attractively wrapped as one or several stems with a raffia tie.